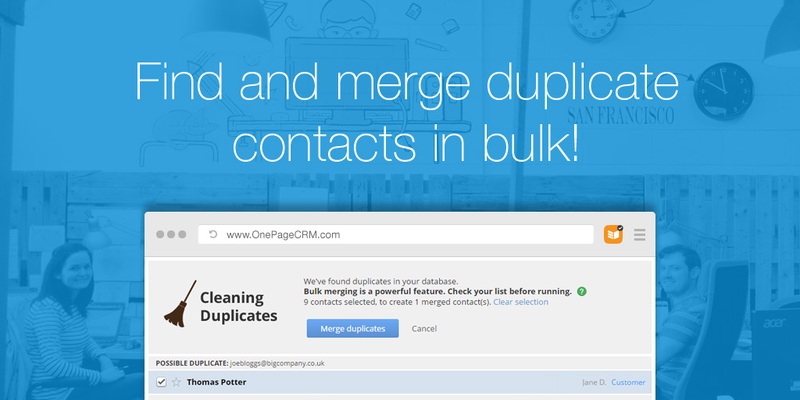 You can now find and merge all your duplicate contacts in OnePageCRM. When merging contacts in bulk, all Deals, Notes and stored emails from all the duplicate contacts will be copied to the single merged contact. will be copied from the most recently contact created. It assumes that the most recent contact details are the most up to date and will ignore previous details if they are different. will all be copied to the merged contact. So for example, if two of the duplicate contacts have different phone numbers. Both phone numbers will be copied to the new single merged contact. Note: Bulk merging is a powerful feature. Please check your list before running. I also suggest you try it on a couple of contacts first before running it on all. 1. 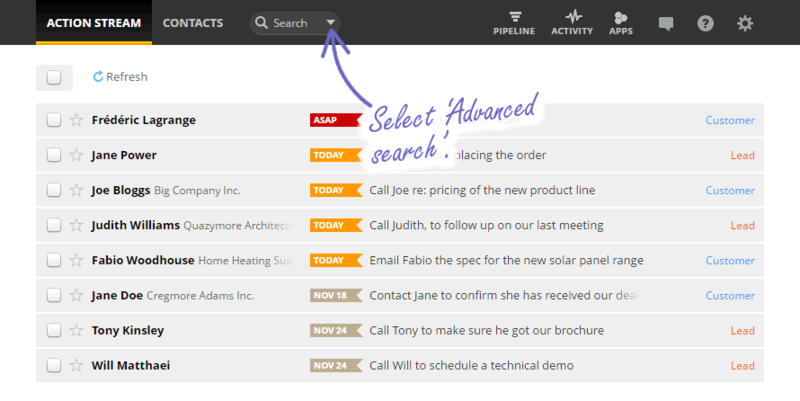 Open up the Advanced search from the top menu. 2. 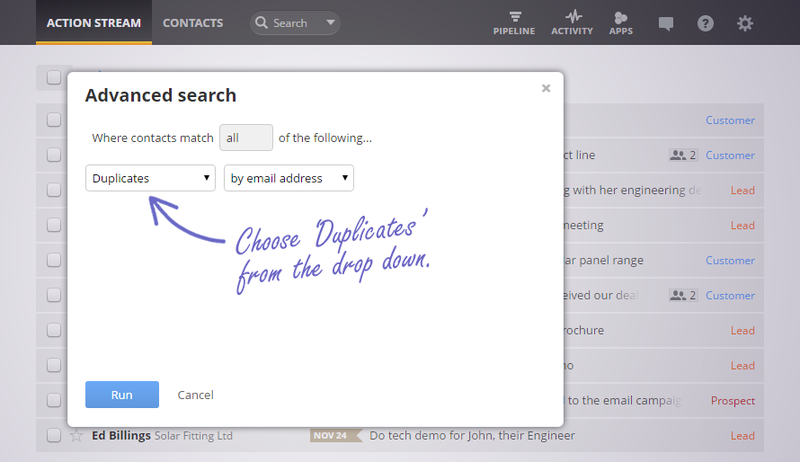 Select Duplicates from the drop down and choose to find duplicates based on email address or first name and last name. 3. 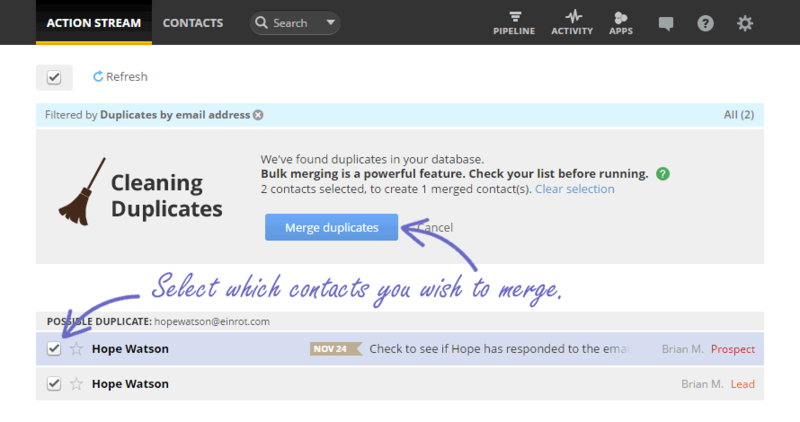 Select which contacts you wish to merge in the results and click MERGE DUPLICATES at the top of the page. 4. All duplicates selected will be merged into a single new contact. 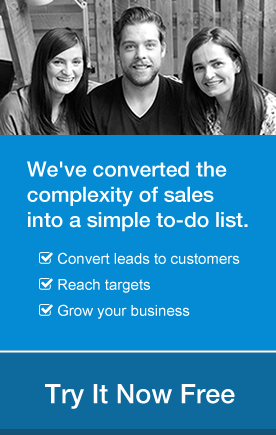 Any questions about our latest update, feel free to email carmelg@onepagecrm.com or comment below.